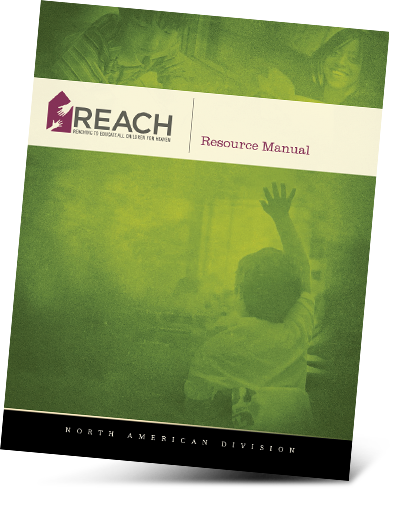 Download the complete REACH Resource Manual. In 1996, Southern Adventist University instituted a Master’s Degree in Inclusive Education. That same year the Upper Columbia Conference K-12 Board of Education set up a committee to study the issue of students with learning differences and to assist teachers in working with these students more compassionately and effectively. In 1999, the Oregon Conference joined in this project. Meanwhile, the Potomac Conference hired a conference level special educator, and other conferences were attempting to address the need as well. As the need continues to grow, individual schools have been trying to respond. In 2007 the North American Division assembled the Inclusion Commission to develop a comprehensive plan to address the needs of students with learning differences in general Adventist classrooms. This comprehensive plan is outlined in the REACH Manual. In 2010, a REACH Advisory was formed with representation from every union as well as representation from early childhood, elementary, secondary and higher education. The current REACH Advisory strives to support educators meet the diverse needs of all students through the provision of resources and professional learning opportunities. The driving force of the REACH Advisory is the belief that every student can learn and experience success. As teachers come to appreciate and understand the power of meeting the diverse needs of all students through the differentiation of instruction and assessment practices, students will progress in new ways and in new areas.